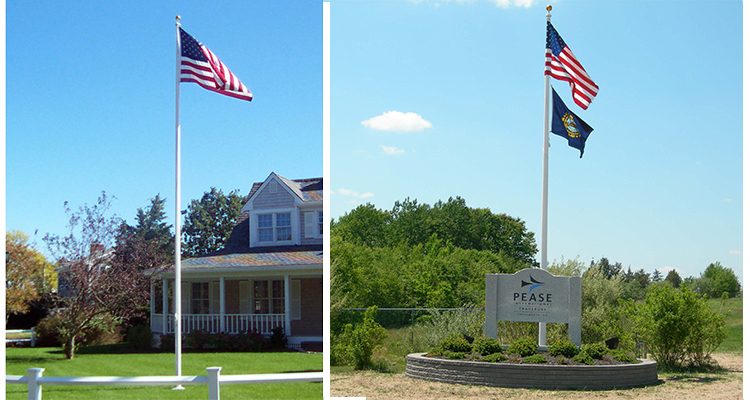 We offer high-quality 1-piece fiberglass flagpoles that are proudly made in New Hampshire by PLP Composite Technologies. Fiberglass flagpoles are available for residential and commerical use and are offered in white, bronze, or black. 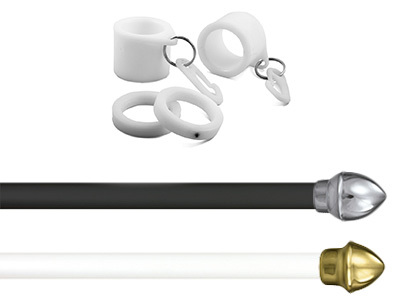 All poles come complete with accessories; the gold aluminum ball, revolving truck, halyard, snaps, cleat, fiberglass flash collar, ground sleeve and instructions. I want to thank you for the customer service it was great. Also the installer was fantastic...very honest and hardworking. Thank you. 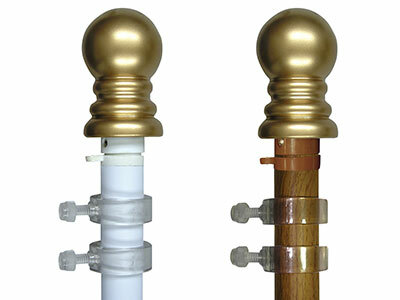 Fiberglass pole sets are available in white and black with a silver or brass acorn top. Includes a 6' 1-piece pole, slip-fit acorn top and a set of white or black NeverFurls®. The NeverFurl® device allows each rotator to work independently with the wind by moving up and down and rotating around the pole to prevent flag wrapping.